Turkey’s Defense Ministry has announced that a total of 7,655 people have been dismissed from the Turkish Armed Forces (TSK) since a failed coup attempt on July 15, 2016. According to the ministry, 150 generals and admirals as well as 4,287 other officers were dismissed while 786 have been suspended since the coup attempt, which killed 240 people and wounded more than a thousand others. 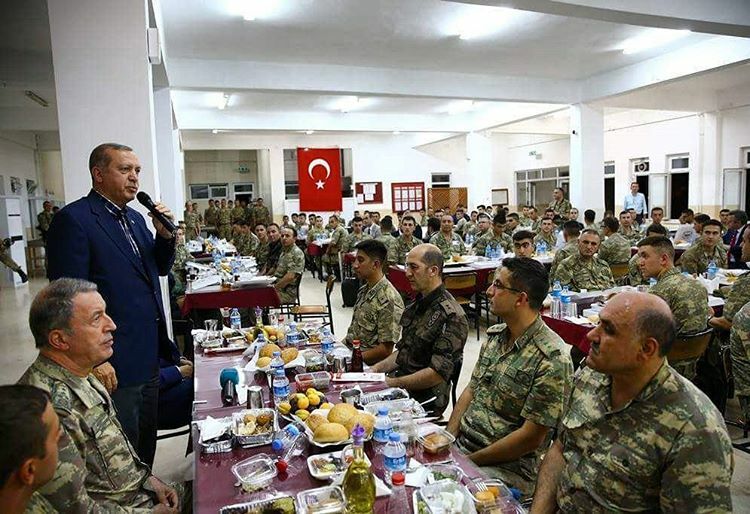 Seven generals, 2,538 officers, 1,016 sergeants, 1,087 specialized and contracted sergeants and privates and 73 workers were dismissed and 140 were suspended in the Turkish Land Forces Command. In the Turkish Naval Command, 31 admirals, 646 officers, 368 sergeants, 30 specialized and contracted sergeants and privates and 27 workers were dismissed and 231, including 121 officers, were suspended. Thirty-two generals, 1,103 officers, 536 sergeants, 55 specialized and contracted sergeants and privates and 26 workers were dismissed and 415 were suspended from their positions in the Turkish Air Forces.